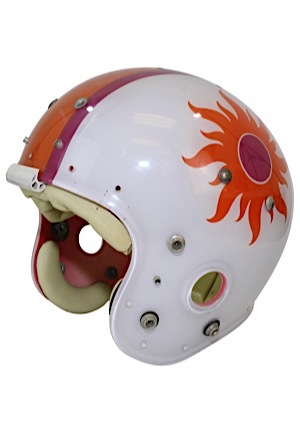 MacGregor manufactured size “7” clear shell Southern California Sun helmet. 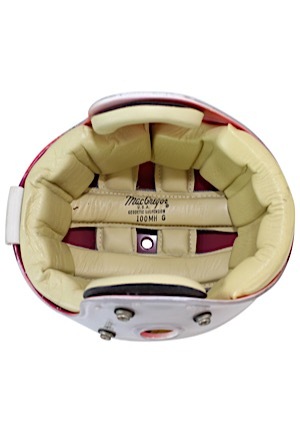 Inside the padding reads “MacGregor U.S.A. GEODETIC SUSPENSION 100 MH G”. The padding is fully intact. 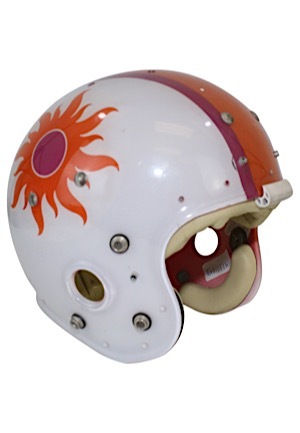 The outer shell depicts a Sun team logo on both sides.